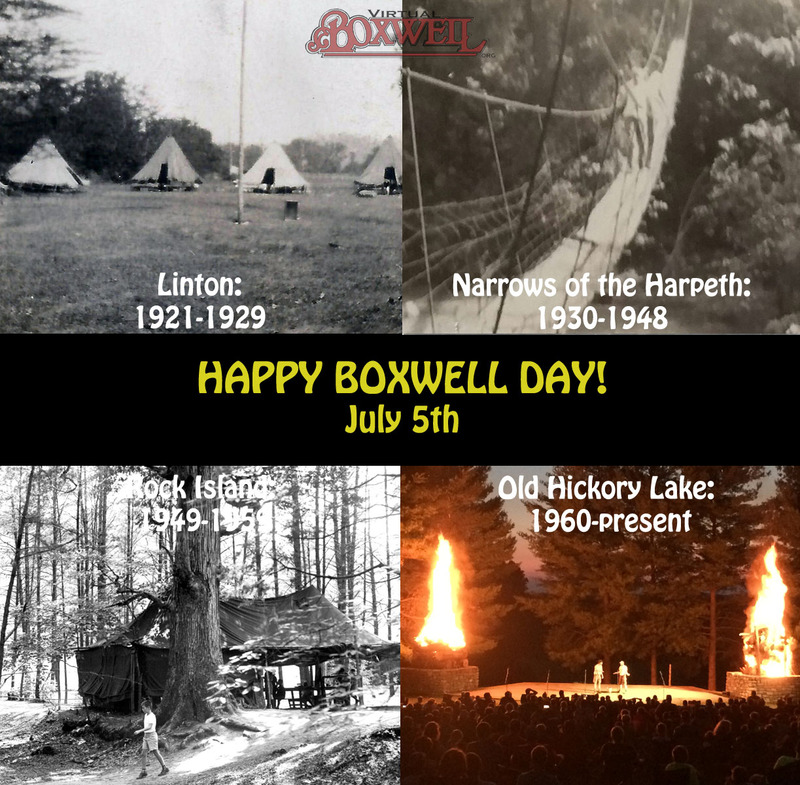 On July 5, 1921 the VERY FIRST Boxwell opened in Linton, TN. A truck picked up Scouts going to camp at the intersection of the Belle Meade and Harding Road at 10am and 4:30pm. Camp only ran for about three weeks at the time and cost less than $6 a week! We are hoping to start a new tradition, not just here at VirtualBoxwell, but across Middle Tennessee Council by celebrating BOXWELL DAY–a day commemorating the opening of the first Boxwell. 1) Share this message far and wide. If you use social media, share the post. If you are looking on the website, share the link. Spread the word so that everyone knows this is a new Middle Tennessee Council holiday! 2) Take this opportunity to share your favorite Boxwell stories in the comments AND, if you are staff member, contact an old friend and reminisce about years gone by! Thank you to all the professionals, volunteers and staff members who have worked for almost 100 years to keep Boxwell alive and flourishing! This entry was posted in Boxwell Day, Council News, From the Archives, From the News, Remembering the Staff, summer camp by virtual. Bookmark the permalink.